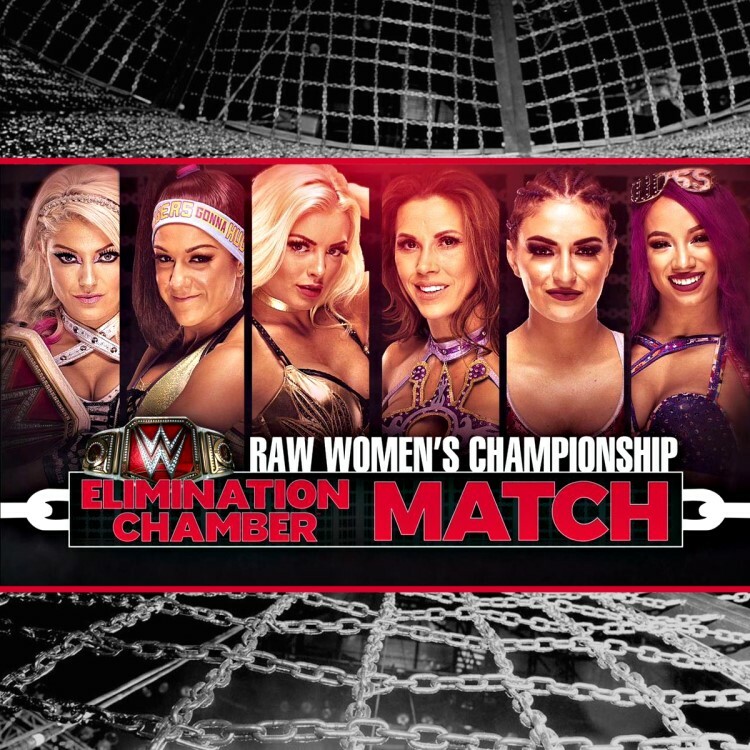 RAW General Manager Kurt Angle has announced the remaining 5 participants for the first-ever women's Elimination Chamber match - Bayley, Mandy Rose, Mickie James, Sasha Banks and Sonya Deville. Angle has also announced Asuka vs. Nia Jax in singles action for the Chamber pay-per-view. If Jax wins that match, she will be added to the title match at WrestleMania 34 to make it a Triple Threat - Rumble winner Asuka vs. Jax vs. the champion. RAW Women's Champion Alexa Bliss is currently scheduled to defend her title inside the Chamber and she will go on to WrestleMania to defend if she retains.